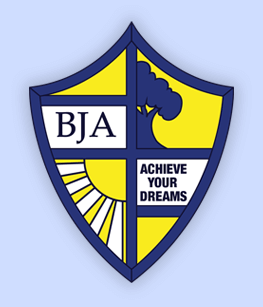 Balfour Junior Academy is a good and inclusive school that prides itself on valuing and developing each individual child so that they leave us as confident and well-rounded individuals, able to take an active part in the society around them. Visitors are warmly welcomed and appointments can be made with Mrs S Misy at reception. Our school is committed to safeguarding and promoting the welfare of children and young people and expects all staff and volunteers to share this commitment. We strive to ensure that consistent effective safeguarding procedures are in place to support families, children and staff at school. Our Designated Child Protection Co-ordinators are Kim Parnell – Headteacher and Gary Kirk- Deputy Head. Our Chair of Governors Patricia Daniels has responsibility for Safeguarding. In June 2014, David Cameron wrote an article that emphasised the important role that British values can play in education. How well a school promotes such values is now an aspect of Ofsted’s inspection process. Ofsted defines fundamental British values as ‘democracy, the rule of law, individual liberty and mutual respect and tolerance of those with different faiths and beliefs’. At Balfour, British values are promoted in so much of what we do, not least during our school assemblies and Religious Education in a whole-school approach. The values taught in these sessions are integral to our school ethos and they complement British values. Our staff acknowledge that exposure of children to extremist ideology can hinder their social development and educational attainment alongside posing a very real risk that they could support or participate in an act of violence. Radicalisation of young people can be compared to grooming for sexual exploitation. Safeguarding against exposure to radicalisation and extremism is no different to safeguarding against any other vulnerability and should be approached in the same way as protecting children from other risks. We are in the process of arranging e-learning sessions for all staff to enable them to to identify people who may be at risk to being drawn into terrorism, and how to refer them into the Channel process, thus fulfilling their Prevent duty. All statutory financial information regarding Balfour Junior Academy can be found below.